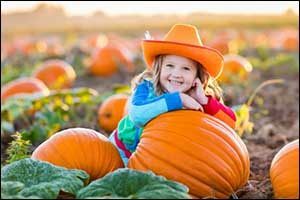 Fall festivals can be a lot of fun. They are a great way to celebrate the season and get the whole community together for a common goal. Certain elements should be included in every local festival, however, there are some interesting extras that you can also add to really increase the level of fun and excitement. For example, you could rent a photo booth. Portland photo booth rentals provide an interactive form of entertainment that festival goers can really get into and enjoy. Fun props that reflect the theme of your event can be used to get everyone excited about taking photos. Photos taken during the festival can be collected by the event organizer to post on the website and share after the community gathering is over to generate interest for the next big event. If you are hosting a community event of any kind within the Greater Portland area, you won’t want to miss out on the memorable fun that getting a photo booth rental in Oregon can provide. Whether you are hosting a fundraiser or a community gathering, a Portland, Oregon photo booth rental can really make a big difference in how active your attendees are during the event. When you start making plans for your festival, start by creating a budget. Elect or appoint someone trustworthy to be the director, someone who can manage the budget and make financially smart decisions about what to include on your special day. You will need to recruit volunteers to help with the organization, set-up, day of the event, and breakdown, to ensure a smooth community event. However, when you use Portland photo booth rentals from SnapZone Photo Booth, you don’t have to do a thing. 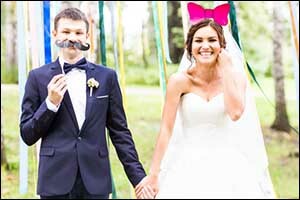 Make sure to order the photo booth rental in Oregon as far in advance as possible, especially if there are a lot of other events going on in the local area at the same time. Schedule the delivery, start time and end time when you rent a photo booth. 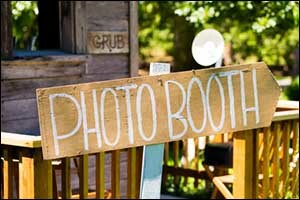 Make sure to provide proper signage at the event as to how long the photo booth will be up and running. SnapZone Photo Booth rentals are manned by one of our employees, so you won’t have to babysit the pictures being taken. Our employee will assist your guests, show them where the fun props are located, and assist them in getting their souvenir photo. Once the budget is created and all of the vendors, including Portland photo booth rentals, have been contacted and contracted, the next step is to start publicizing the event. Make sure to include information about what attendees can expect at the festival, including any carnival rides, food trucks, bouncy houses, and of course your Portland, Oregon photo booth rental. This will attract more guests who want to take advantage of all these amenities. Reach out to other community groups to see if you can cross promote your event while sharing details about their upcoming events to your mailing list. Send out flyers, emails, put an ad in the local newspaper, and consider talking about it on local radio. In addition to providing your guests with a fun way to interact with each other during the festival, there are lots of other great reasons why you should consider a photo booth rental in Oregon from SnapZone Photo Booth. Make sure to contact the Portland photo booth rentals company in advance, explain what it is that you are doing and what you hope to get out of the rental. They can sometimes even offer other ideas and tips that you can use to your advantage to maximize the benefit of adding a photo booth in Portland for your event. Branding Opportunity – The photo booth company can create a custom photo strip that includes the name, date, and location of your special event in the color scheme and style that best suits your gathering. Social Media Opportunity – Make sure to ask about adding a social media station that allows users to upload photo strips to their Facebook and Twitter. Online Gallery – Event organizers have access to an online gallery where they can view, download, and print high-resolution images from the event for future promotions or to share with guests. Green Screen Custom Backgrounds – Work with the company for your Portland photo booth rentals to select a green screen and use custom backgrounds for your pictures. High-Quality Photos – When you work with SnapZone Photo Booth for your upcoming event, you provide your guests with high-quality photos that are taken using a high-resolution DSLR camera. If you are interested in getting a photo booth in Portland for your local festival or community event, please give us a call at 503-207-2020. 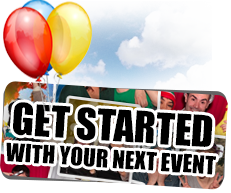 We can help you rent a photo booth package that is perfect for your needs. Ask about props, backgrounds, and other rental options for your Portland, Oregon photo booth rental. 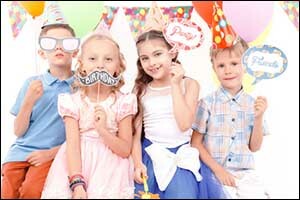 Call today to get a FREE quote for any of our professional photo booth services.